As requested by our dear foodie friend, Rob, this post is all about showing you what we’ve been eating. Bon appetit! 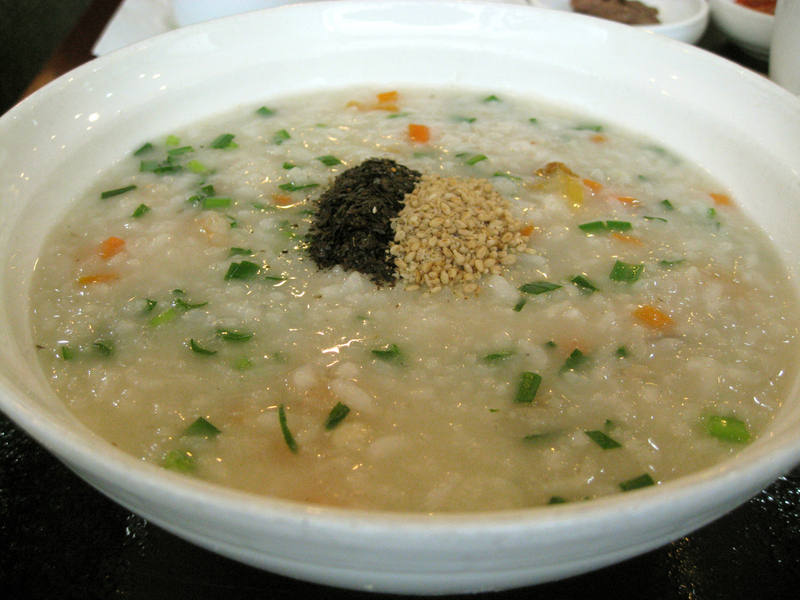 Juk is rice porridge served in a variety of ways. 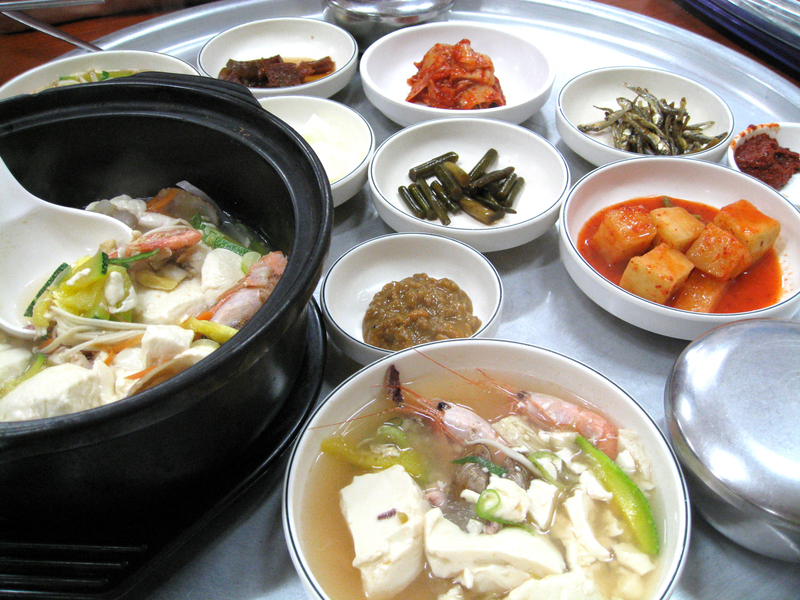 Pictured here: juk with seafood. 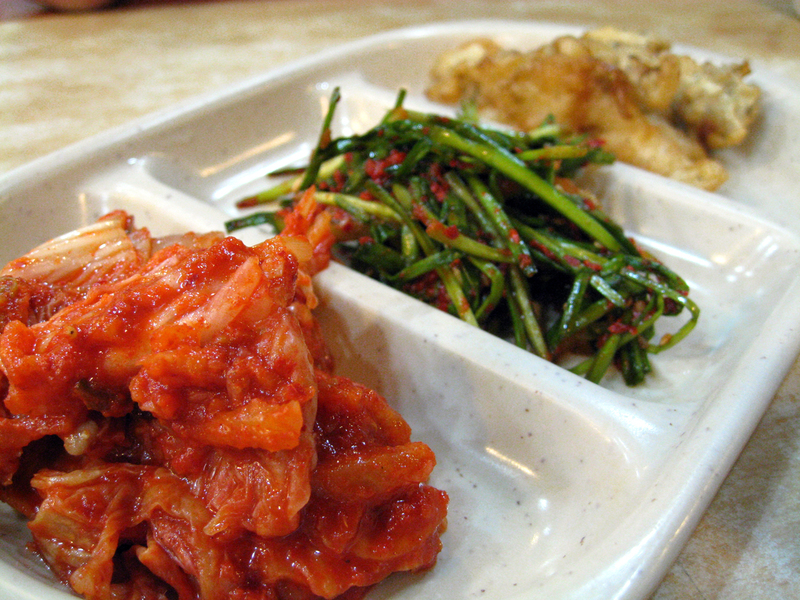 Banchan are the side dishes that accompany every order. 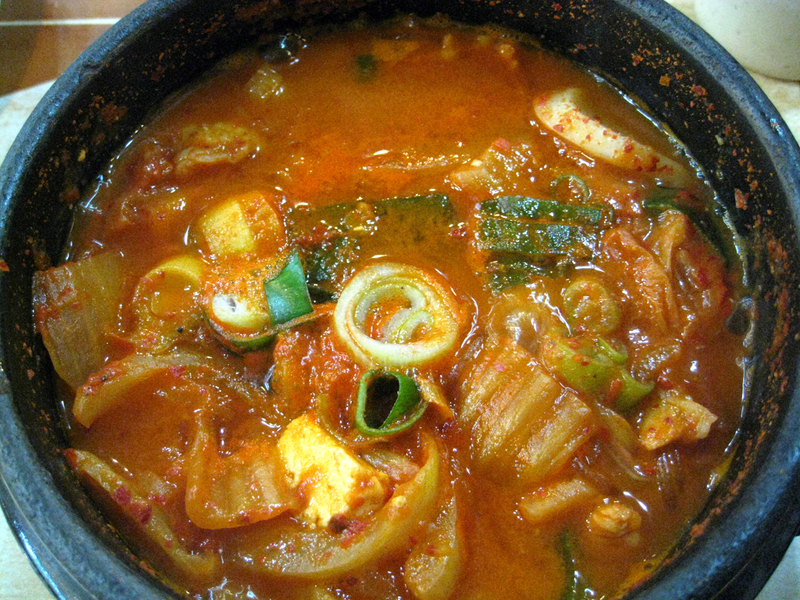 Kimchee (spicy, fermented cabbage) is a staple. It’s a spicy as it looks! 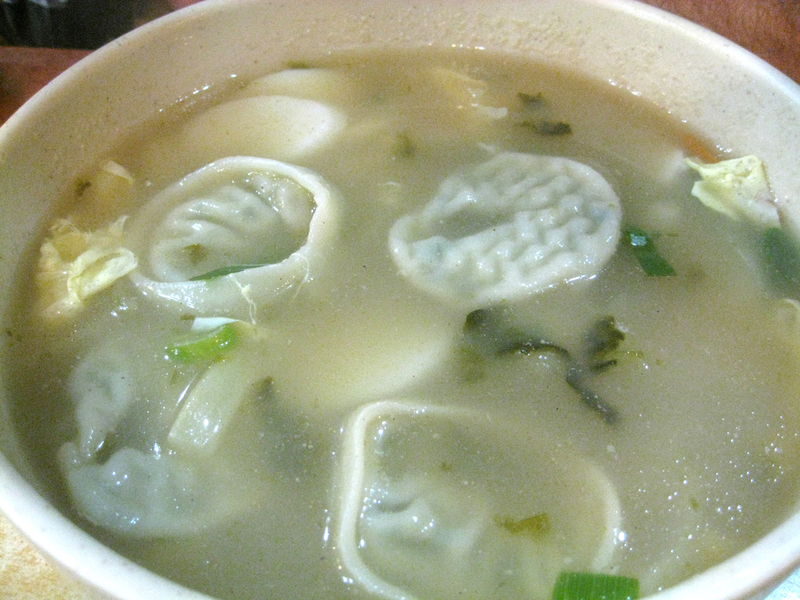 Dumplings were (sadly) not filled with meat. We were surprised the stew came with small shellfish–but were lucky to be able to order anything in the first place (see the menu picture that follows). 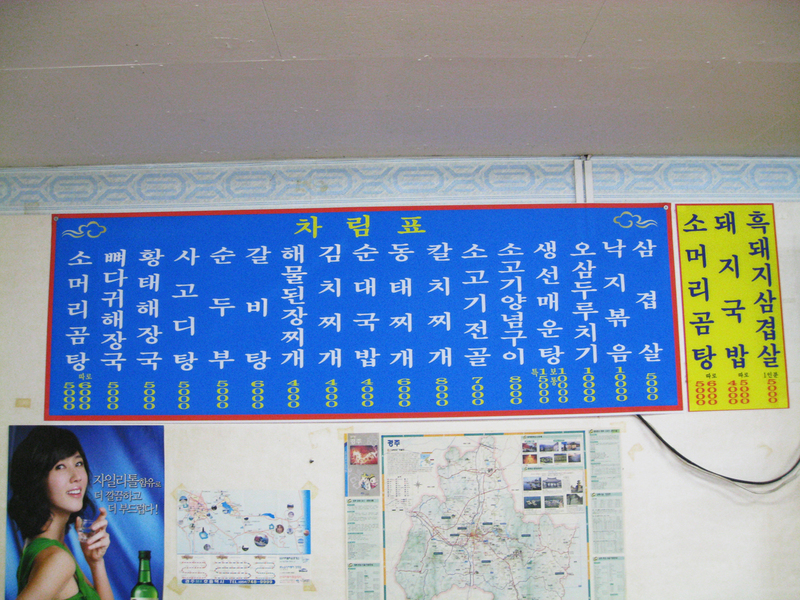 As Rob requested, a photo of a menu–this restaurant only had the menu posted on the wall. Would love some translation from my Korean friends! We ended up ordering the tofu stew from our Me No Speak book. Since the owner of the restaurant was nearly blind, we got help from a neighboring table, full of giggling Koreans. § 3 Responses to The food post"
Good news, guys: After years without, Costco SF is once again carrying kimchee. You can come home anytime. 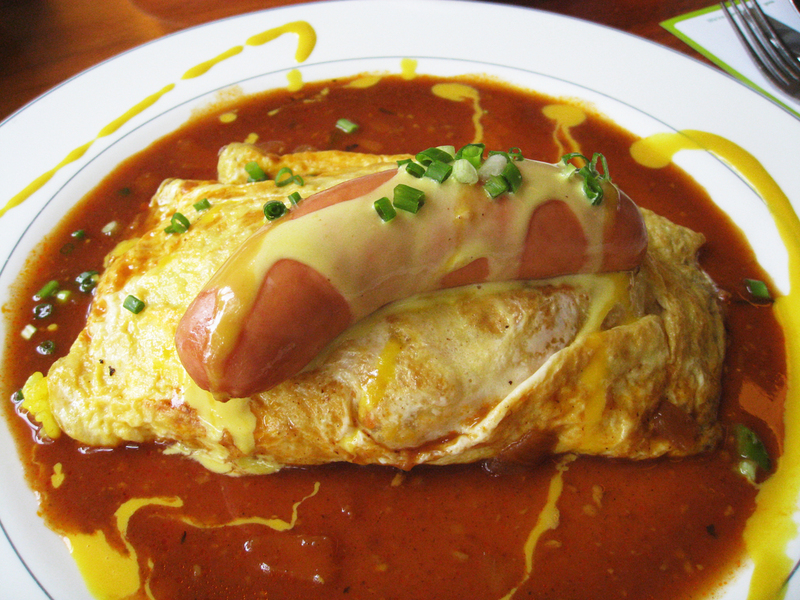 You are currently reading The food post at On the Road.